There is no greater feeling than seeing your client's vision become a reality. It is exponentially magnified when they embrace your designs and love them as if they created them through you. Erica created the absolutely beautiful table arrangements for my daughter's wedding brunch. She asked me for input on colors and flower types, made great suggestions based on availability, and created gorgeous table arrangements for the brunch. 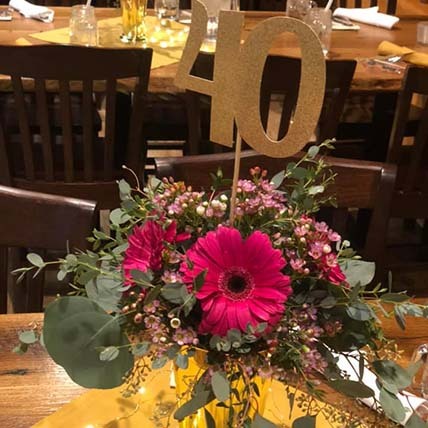 When I picked up the flowers, I was so impressed with her creative arrangements, so unlike many 'canned' arrangements you might get at a standard floral shop. She really puts a creative touch on her work and the results are spectacular - just what I was looking for. Her prices are very reasonable and the value is excellent. She is a nice person and a pleasure to work with - very accommodating. Thank you, Erica! Erica provided the flowers for my daughter's wedding. The bouquets, corsages, and table flowers were fabulous. Everything was absolutely perfect, bright, fresh, and tastefully and subtly matched to the wedding colors. Erica's attention to detail and her ability to listen to and relate to the needs and requests of the bride were surpassed by none. I highly recommend Erica for any event. Erica is friendly, fun and very professional. 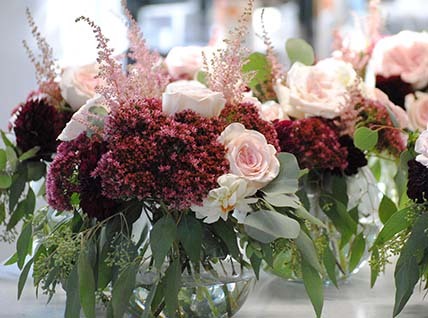 She made our daughter's baby shower even more elegant and tasteful with her beautiful arrangements. Thank you! I have used Erica's Garden a few times since she has opened. She does beautiful work, very creative, easy to work with and comfortable environment. Highly recommend her. This is a picture of a custom bouquet I had her do for my sister birthday party (I added the 40). She was super helpful with planning my event and made gorgeous arrangements. 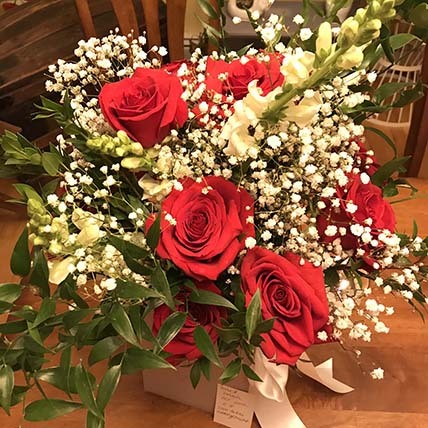 Received an amazing bouquet of roses from my husband for our anniversary. Erica's Garden did and amazing job-they are so beautiful! Attended tonight's Wine and Design workshop. Completely out of my comfort zone but Erica made me feel right at home. Her shop is warm and inviting. I'll definitely come back. Thank you Erica. Stopped in for my first time today and I had a delightful experience! Erica is generous, friendly and so talented with her arrangements. 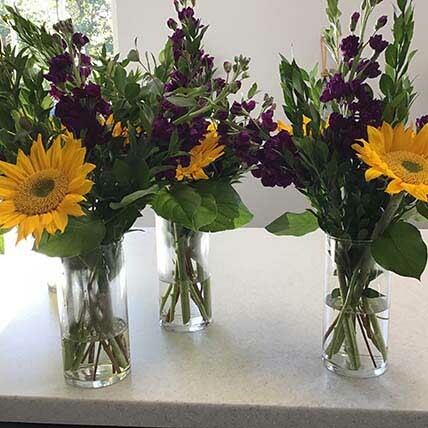 The flowers are absolutely beautiful and with her gifted touch, she makes all her arrangements one of a kind and they smell AMAZING. Her shop is cozy, welcoming and has the cutest gifts from flowers, lotions, baby items home décor and even wine! I would recommend anyone who loves great quality for a great price to check out Erica's Garden. You won't be disappointed. Great gift ideas as well as beautiful flowers. Erica is amazing and talented! Everyone should have her do their wedding and functions. 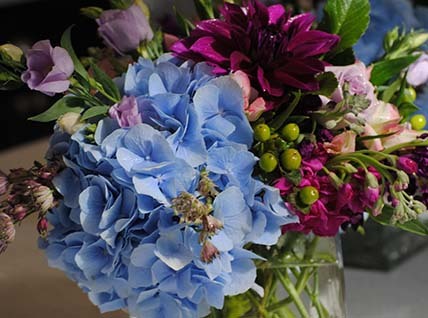 She will even teach you how to make your own arrangements or take a design class with her! The most beautiful flowers. The arrangements are exceptional! So glad Erica opened in Epping.